Blessed Pope Pius XII in 1946 asked the Bishops of the Catholic Church to gather information for the potential dogmatic declaration of this doctrine. Two questions were asked of the Bishops: First, is the Assumption definable? Second, do you and your flocks desire a definition? The Bishops gave a unanimous affirmation to both questions proposed to them. Over a 95-year period, there were 8 million petitions sent to Rome requesting that the Assumption of the Blessed Virgin Mary be declared a dogma. It’s also an important fact to note that the Council Fathers of Vatican I also requested to make this a dogma. The Assumption in the Sacred Scriptures is primarily seen in Genesis 3:15 and in the writings of the Apostle to the Gentiles, St. Paul. In Genesis 3:15, Mary shares the same victory over sin and death as does Jesus due to their mutual enmity with Satan and sin. When the Bishops were asked about the Assumption being declared dogmatic many of them sent Genesis 3:15 to Pius XII as scriptural support for the dogma. St. Paul tells us (Romans 5-8; Hebrews 2) the effects of the seed of Satan are sin and death (bodily corruption). Mary, who shares in her Son’s victory over sin and death, is victorious and saved from sin and death. She triumphs over sin through her Immaculate Conception (no bodily corruption) and triumphs over death in her Assumption. 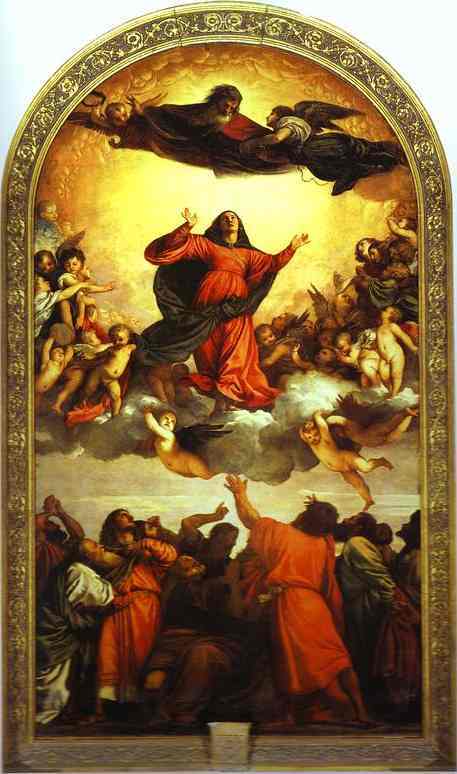 Other scriptural references for the Assumption are: Luke 1:28 because Mary is “full of grace.” Being that she is “full of grace” – the effects of sin would not taint her, which would be bodily death; Psalm 132:8 prophecies, “Arise, O Lord, out of your resting place: you and the ark which you have sanctified.” – Mary is the New Ark of the Covenant; 1 Corinthians 15:23 and Matthew 27:52-53 both give support to a potential bodily assumption; Revelation 11:19 and 12:1, Mary is the Ark of the Heavenly Jerusalem and she is the woman crowned and the woman assumed. In Sacred Tradition, the earliest mention of the Assumption of Mary comes in a homily preached by Bishop Theoteknos of Livias, in Palestine around the latter part of the 6th century. He said since Mary was the Mother of God she held an exalted position; she was greater than all the saints. He emphasized heavily that the Son cannot forsake the Mother and that the Mother could never be separated from her Son. Furthermore, we see clear references to the Assumption/Dormition of Mary in the writings of St. Gregory of Tours, St. John Damascene, St. Modestus of Jerusalem, St. Germanus of Constantinople, and St. Andrew of Crete during the 6th, 7th, and 8th centuries. In Egypt and Syria, there were liturgies on our Lady by the 5th and 6th centuries. The earliest celebration of the feast in the West is dated in the mid 7th century. 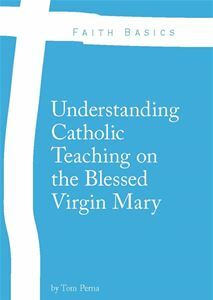 By the 13th century, the Assumption of Mary was accepted completely as a doctrinal teaching. The Eastern Rites of the Catholic Church (and the Orthodox Churches) celebrate the “Dormitio” or Dormition. When time had come for the Theotokos to pass from this life to the next, the Apostles including St. Paul traveled, gathered, and briefly spent time with her. Thomas arrived three days after Mary had fallen asleep (a term we use when someone passes into death) and wanted to see her. When they went to the tomb where she was placed, they found that it was was empty. An angel of the Lord appeared to them saying that the Theotokos was assumed into Heaven. 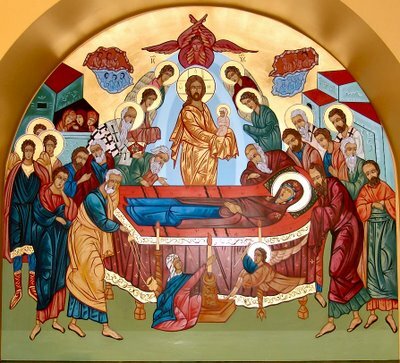 The official name of the Eastern Holy Day is The Dormition of the Theotokos and Ever-Virgin Mary. Like most Marian feasts that have their roots in the East, this tradition has been celebrated since the 4th century. It commemorates the death, dormition, and assumption of Our Lady into Heaven. This position states that Mary experienced a temporary separation of soul and body but without bodily corruption. Her soul was taken directly into heaven and her body remained on earth for three days until it was assumed and reunited with her soul. Most theologians beginning with St. Augustine of Hippo to Blessed John Henry Cardinal Newman and to our recent Popes conclude that Mary did suffer death, but without bodily corruption. There are two primary notions that favor the position that the Blessed Mother actually died. First, she was in conformity with Christ. As his Mother, she should not be better than her divine Son. If Jesus suffered death, then his Mother would have suffered death as well. The second point is that Mary voluntary with own will accepted death. She accepted death, like Jesus, so they could co-redeem (“co” – with not equal) the human race together, but with her still subordinate to Our Lord. Let us pray: Almighty Father, You raised the Immaculate Body and Soul of your Son’s Mother, the Blessed Virgin Mary into heavenly glory. Keep us always focused on our heavenly reward so that we may share it with her for eternity. Amen. This will always remain controversial, but the fact remains that on November 1, 1950 the then Pope Pius XII declared that Mary was assumed into heaven by her Son body and soul. Original sin prevents this for any other human being, but Mary was immaculate by God’s choice and therefore not subject to the first death that the rest of us must endure. The fact that Christ died is an entirely different subject. He did it to destroy death. Mary was an example of how things were supposed to be for everyone before original sin. I am on the side of those who believe she never died the first death, but was assumed when her Son was ready. What will remain controversial – that she assumed body and soul into Heaven? The dogma is the statement that it’s not controversial. The opinion that Mary was just assumed into Heaven body and soul is believed by a small group of individuals. Mary did die, but her body was never corrupted. Three days after her death, her body was assumed into heaven to be reunited with her soul. In reply to your answer to me, I have never ever heard that in my lifetime. I am 70 years old, a daily mass goer, a Eucharistic Minister in both the nursing homes and a catholic hospital for over 25 years. I served the mass in Latin before Vatican2. So I have conversed with maybe 500 priests and bishops in my lifetime both prevatican2 and postvatican2. I have read the Catholic Bible twice. I suppose I could go on, but lets just say I’m not buying what you just wrote. We will have to agree to disagree I guess. Did you know that when Pope PiusXII declared the dogma that the strained relations with the Eastern church were just about severed because of that. Than was on November 1, 1950. So lets just leave it go. I hear to many strange things out of the mouths of these post Vatican2 priests as it is. I listen to their homilies and wonder where in God’s name did they get their information. See you later my friend. Hi Ed – Great to hear that you are so involved in the sacramental life of the Church. You and your family must be very blessed! Where did you read/hear “that when Pope Pius XII declared the dogma that the strained relations with the Eastern church were just about severed”? Do you have a source for that? I would like to read more about that. As you said we have to agree to disagree, but theologians still leave it as an open question, however, you asked, where did I get the idea that Mary died? From the Early Church Fathers! Before I studied Mariology under Dr. Mark Miravalle, I thought that she just assumed body and soul into Heaven without dying as well. It was hard to give up my thoughts on that for some time, but through study and prayer, I came to understand it more fully. What Early Church Fathers claim that she died? St. Augustine of Hippo (354-430), the Syrian Father, St. Jacob of Sarug (+521), St. Modestus of Jerusalem (+634), St. John Damascene (+749), and St. Andrew of Crete (+740). St. John Damascene and St. Gregory of Tours along with other Church Fathers attest to the pious tradition that the 12 Apostles returned to see Mary die and placed her body in a tomb themselves. It’s stated that St. Thomas was three days late. When he asked to see Mary’s body, they opened the tomb, but her body was no longer there. St. Thomas Aquinas, St. Bonaventure, Blessed John Duns Scotus, St. Alphonsus Ligouri, St. Francis de Sales, Blessed John Henry Newman, and Blessed John Paul II all believed that Mary died but did not endure bodily corruption. Her soul was taken into Heaven and then three days later were body was assumed into Heaven and reunited with her soul. The death of Mary ties into the 5th Marian Doctrine. Hope this helps a bit. In Christ through Mary! Mr. Perna- May I use the 2nd half on your post concerning the eastern rite and Dormition in my church’s bulletin? I find that it is easy to understand and read and our parishioners are an older crowd, most of whom are not tech savy. Thank you for your consideration. Thank You! I will send as soon as I finish it.